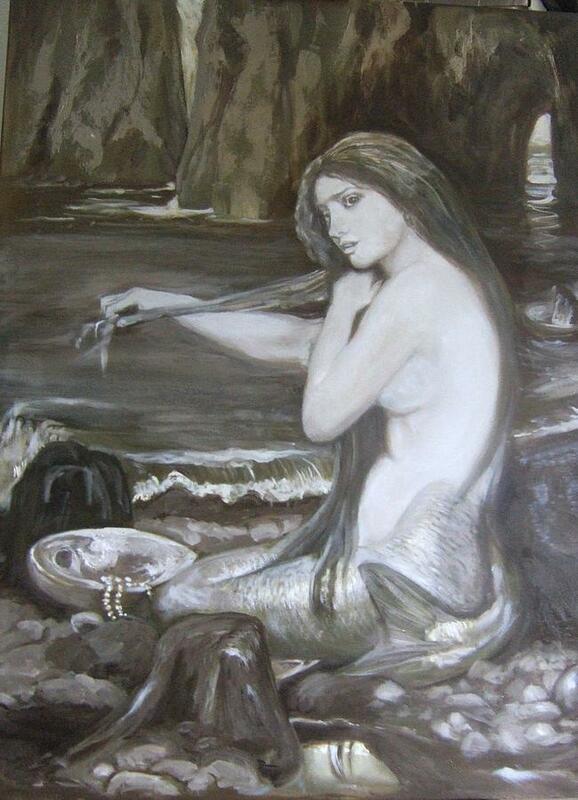 Mermaid In Progress is a painting by Darlene LeVasseur which was uploaded on October 7th, 2010. This is a Waterhouse master reproduction in progress. There will be many layers of glaze oil on top of a tone painting. The colored glaze will soon be layered. The style is much like, or will be like the Rembrandt on file. I am excited about seeing this one done as I love the ocean and anything related so very much. There are no comments for Mermaid In Progress. Click here to post the first comment.